Value Care has been matching compassionate caregivers to people in need since 2007. We are a locally owned nurse registry, and we are committed to honesty, value, top quality and savings. Located in Boynton Beach at 1301 West Boynton Beach Blvd., we refer compassionate and highly qualified caregivers in the Boynton Beach area. 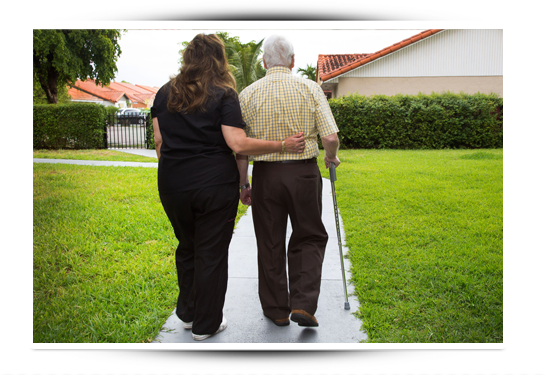 The caregivers we refer provide care in Boynton Beach and west Boynton when and where it’s needed most. The need to find affordable, qualified care in Boynton Beach can be challenging. We strive to find compassionate caregivers to ease the burden on people in need of care. Caregivers are screened for more than just state and federal requirements like background checks, certifications, and work authorization. We find caregivers who combine understanding with more hands on experience. To that end, we have developed our own screening process, our FIVE STAR PROMISE, which allows us to ensure your satisfaction with our care services in Boynton Beach. Some skills look good on paper, but we ensure the caregivers we refer are personable and caring as well. This lets us confidently match caregivers in Boynton Beach, Florida, with you based on your specific needs. Our exclusive testing and screening processes allow us the freedom to guarantee that you are happy on the very first visit. We continue communicating with you, including our First Day Satisfaction GUARANTEE that verifies the service meets your needs, and do follow up calls after the first visit to make sure you are satisfied with the caregiver that was referred to you. We put the control in your hands. Whether you want a companion to help with homemaking services, running errands, personal care and support, or you just want a kind person to talk to your loved one, we find the most caring, qualified caregiver for you. How much care do you require? What type of services do you want? What are your loved one’s hobbies? What are you looking for in a caregiver? What is your budget for receiving care? Based on this free consultation, we use our Care Match Program in order to find you the best caregiver to meet your needs. You can schedule care when and where you need it. If you only want help a few times a week, that’s ok, and if you need someone with your loved one 24/7, that’s okay, too. We’ll find a reliable caregiver more than willing to fit your schedule and your budget. At Value Care, our motto is More Help, Less Worry, and we believe in making that a reality for people in need. Call Us Today if your loved one is in need of care services in Boynton Beach.